IIITs, under law, are not authorised to open extension centres. 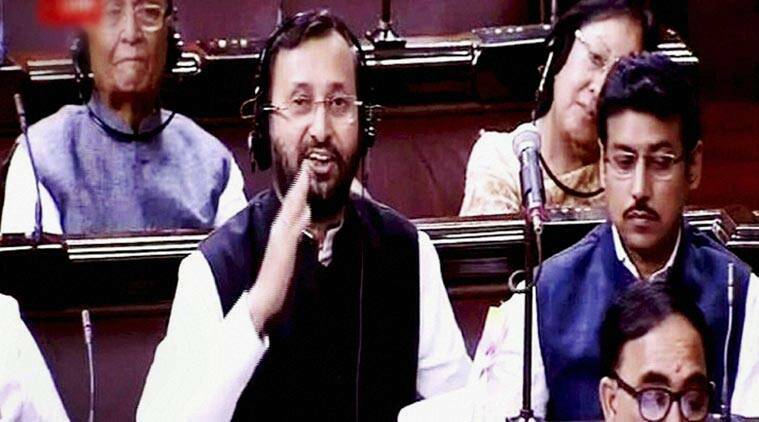 HRD Minister Prakash Javadekar has justified the winding up of the Indian Institute of Information Technology (IIIT) in Amethi, saying the decision was taken because students were unhappy with the facilities on campus. “Firstly, this wasn’t a full-fledged IIIT in Amethi, but an off-campus centre of IIIT in Allahabad. IIITs, under law, are not authorised to open extension centres. So the one in Amethi [Rajiv Gandhi IIIT, set up in 2005] was technically illegal,” Javadekar told The Indian Express Thursday. “Secondly, this centre had no permanent faculty. Every day, one teacher from IIIT Allahabad would travel to Amethi to teach four classes. There were no appropriate arrangements and students were unhappy about this.” Javadekar added many students had felt cheated about being transferred to the Amethi centre when they had actually opted to study at IIIT Allahabad. “Of the 260 students studying at Amethi, only one was a local student. So this institute wasn’t really benefiting the people of Amethi. What they need is a college offering courses in arts, commerce and sciences. From August 20, Babasaheb Bhimrao Ambedkar University will open a satellite unit to run graduation and postgraduation programmes that cater to local requirements. National Skill Development Corporation will also run a skilling centre from here,” he said.